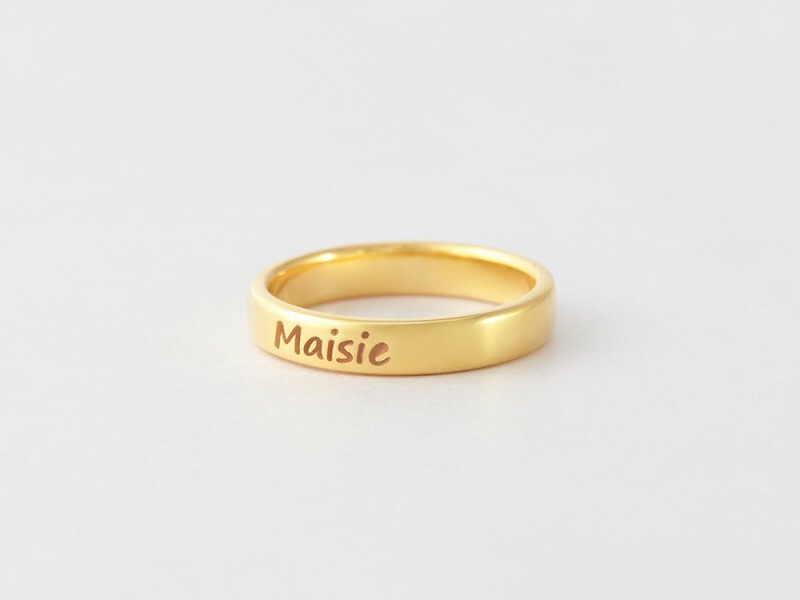 This personalized name ring can be stacked with other rings for a perfect set of mother's stacking rings. Our custom name rings are handcrafted from 100% sterling silver with 18K gold plate options, making these stackable mother's rings with names the perfect gift for Mother's Day and Christmas. - Please enter your name exactly how you want it, minding the case of each letter.